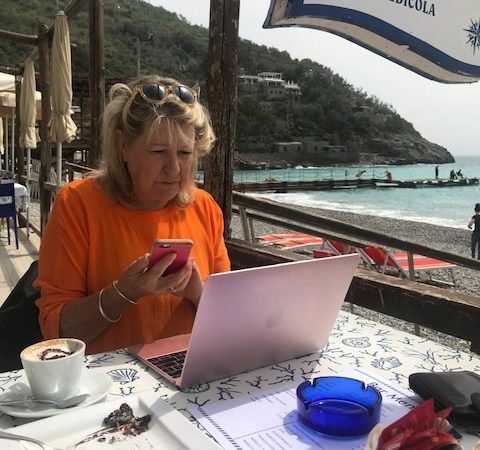 Six weeks have passed since the day we arrived at our rented villa in Marina del Cantone on Italy’s Amalfi Coast and so much has happened that I’m immobilised by indecision about what to tell you. Having said that, you’d already have an idea from my Facebook and Instagram posts. We are halfway through our time here and I must admit that life has been getting in the way of research. But that’s a good thing, right? Because in reality, it is truly impossible for an author to completely separate life from research. So, I arrived in Italy with a seed of an idea for my next book, a solid wad of research material and an alarming degree of confidence that when the time was right, my next story would simply wrap itself around me. Well, it hasn’t yet … Not totally, but fragments of the plot are coming together … in fact there’s too much to choose from. 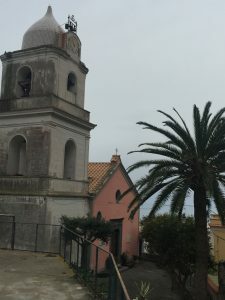 Before I left Australia, my research told me there was only one setting for the opening chapter and that was in a certain Italian port, so we hired a car and drove there. I was so disappointed. No matter how hard I tried I could not engage with this particular city. Despite its people probably being very happy there, I’ve decided this will not be the setting for my opening chapter after all. But, here’s what I know will happen. Si. Our beautiful temporary home of Marina del Cantone will provide setting. Si si. There will be an Italian man in my story. And an Italian boy. 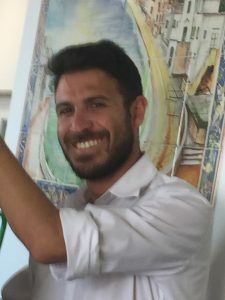 I’m not usually one to generalise, but I’ve found Italian males to be nothing short of chivalrous, charming and polite with the most mischievous sense of humour. Sometimes shy, sometimes respectfully flirtatious they are usually exceptionally good looking . . . And great character fodder! Naturalmente, there will be a dog. Isn’t there always? He will be a bulky black Labrador and his name will be Ulysses. The real Ulysses is celebrated in these parts through ancient mythology (that’s another story) but his canine namesake is famous for his antics. Every evening Ulysses is allowed onto the beach at Marina del Cantone, as are most dogs, to sniff among the pebbles for morsels of food. Usually a sucker for a neck rub, Ulysses will blithely disregard anyone or anything at these times unless it’s edible. 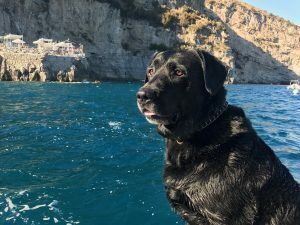 During the day he can be seen nestled on the front of his owner’s kayak, eyes strictly forward as they glide weightlessly across the water together. I am told he will swim out and circle anyone in trouble (real or make believe) and when they take hold he will tow them back to shore. There will be a child. In addition to visiting schools and speaking with kids, teachers and parents, I’ve spent hours simply watching and listening, in Nerano, Sorrento, Sant Agata, Massa Centro, Ravello, Vietri -oh so many places along this stunning coastline. In the entire time I’ve been here I’ve seen only two children riveted to screens. 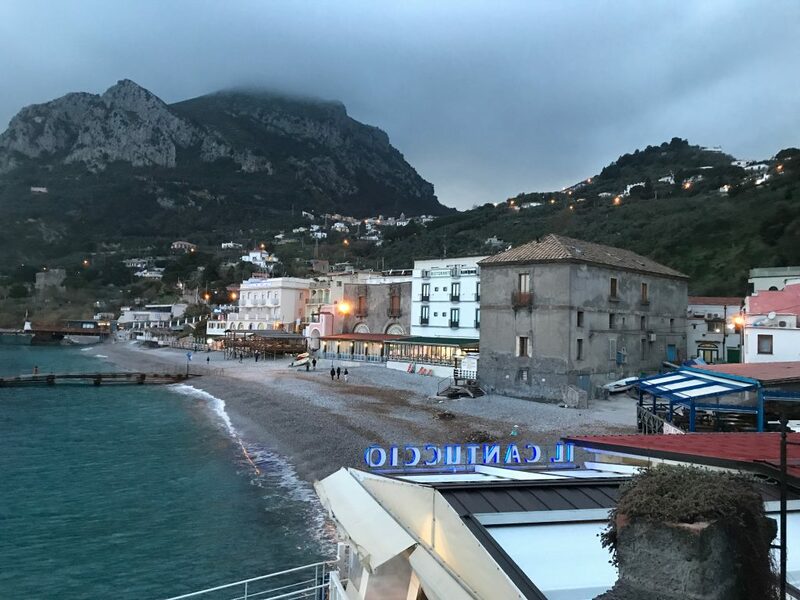 Constant chatter is a given between parents and their children in Italy, and I’ve regularly seen kids playing gleefully and noisily together in playgrounds, parks and on the beach well into the night. Parents sitting on the pebbles beside the sea, singing with their children is a common sight on Marina del Cantone. Ah! 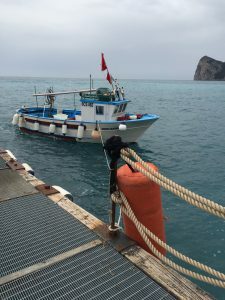 Marina del Cantone …. And someone will fall in love in this story. But of course they will! 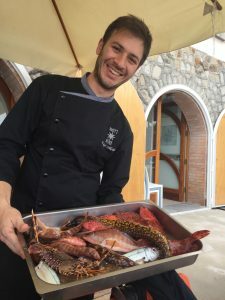 The magic of the Italian coastline, its trilling birdlife and tolling church bells, urns dripping with flowers, aromas of coffee and pastries, of pasta and so many wonderful sauces. Not to mention the effusive chatter and generosity of its people, the awe-inspiring architecture and history. 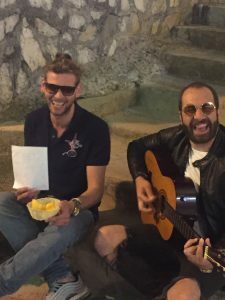 Who would not fall in love in Italy? 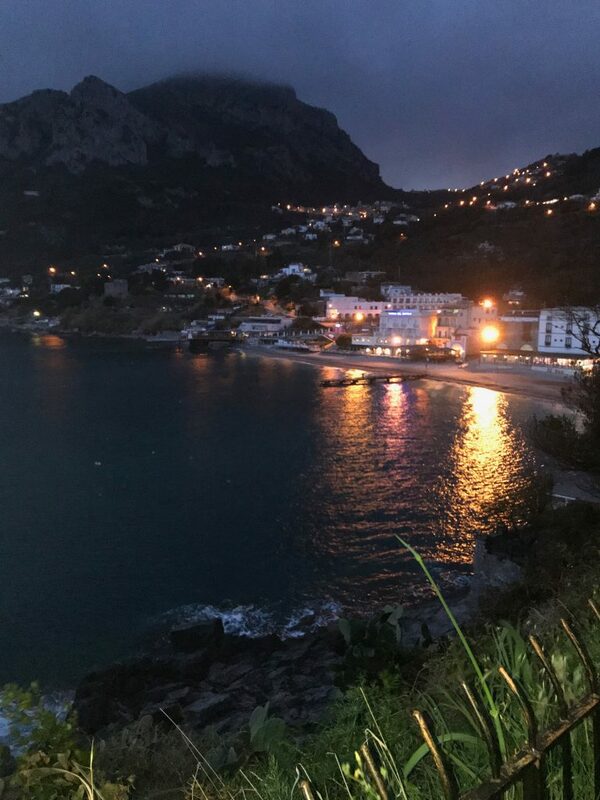 Buona notte Marina del Cantone … bellissimo. I LOVED reading this blog Dianne and I’m so excited for your new story! Grazie Mel. It’s shaping jus to be a good story. Such inspiration!